Miami Invisalign professionals encourage patients to consider an Invisible braces system over traditional metal models. The new braces system uses two clear aligners that are designed to fit snugly over the patient’s teeth, gradually shifting teeth into beautiful alignment. But why choose Invisalign over traditional metal braces? Professionals say Invisalign offers comfort, confidence, and real results to patients in search of a inconspicuous means of straightening their teeth. Miami dentists recommend teeth straightening treatments to patients for many reasons, most of all to increase patient happiness and health. To illustrate, consider a 2008 study of nearly 10,000 Australian residents that researchers say indicates “Everything else being equal, if you are happy and satisfied with your life now, you are more likely to be healthy in the future,” (i). As a Miami dental professional, I recommend Invisalign to my patients because it is a minimally invasive, comfortable, and effective dental treatment. What’s more, the removable nature of Invisalign allows patients to clean their teeth thoroughly. This convenience helps to reduce tooth decay among Invisalign patients, which is particularly important in a world where nearly half the population skips out on nightly teeth and gum care (ii). Most importantly, however, I recommend Invisalign to help patients create smiles of which they are proud to show. Over 75% of Americans are embarrassed to smile, yet nearly 80% of Americans know that smiling is intricately tied with overall health (iii). Assure a Smile has created the following list to compare Invisalign Invisible braces to traditional metal ones to assist patients in finding an ideal teeth-straightening solution. Invisalign aligners are made of clear plastic. For patients, this gives two major benefits over traditional metal braces. First, clear braces give patients confidence through every day life. You may wear Invisalign and rest assured that most others won’t notice that you are straightening your teeth! Moreover, clear plastic aligners are more comfortable to wear than are metal braces. Invisalign patients do not have to worry about sharp metal edges and wiring agitating the delicate areas of their inner mouth. Invisalign is removable. Again, this gives patients two direct benefits. First, patients may remove their Invisalign aligners when eating. This adds comfort and familiarity to mealtime, eliminating the annoyance of food particles becoming wedged throughout traditional braces. A second benefit results: patients are able to more easily maintain oral hygiene while using Invisalign. Individuals may remove Invisalign aligners to brush and floss their teeth as normal. Patients with metal braces, on the other hand, must buy unique tools to help them carefully clean around brackets, wires, and soft gum tissue. The Miami Dentist Blog has covered several specific conditions that Invisalign may solve for patients. We will review them here, as well as provide links to prior articles that explain these conditions in-depth. Miami Invisalign Treatment for Overcrowded Teeth: Most common in children, overcrowded teeth are those that grow close to one another and overlap. Bring Teeth Closer Together with Invisalign: There are several reasons that explain why an individual may develop spaces between their teeth. Read about them here, and discover how Invisalign helps to close the gaps. Consult Miami Invisalign Providers for Crossbite Treatment: A Cross-bite is created when teeth are irregularly spaced horizontally. Invisalign may help to correct this problem, offering a comfortable solution for misaligned teeth. Treating an Overbite with Invisalign: When the teeth of the upper jaw fall too far over those of the lower jaw, an overbite exists. 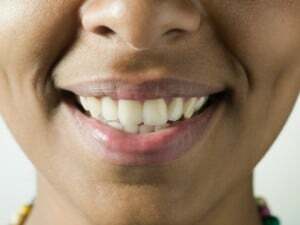 Patients are encouraged to read this article about overbites, Invisalign, and the creation of healthy smiles.